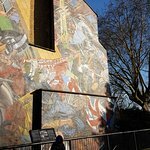 This pictorial representation drawn on the side of a building is in remembrance of a historic Jewish rally that took place in 1936. 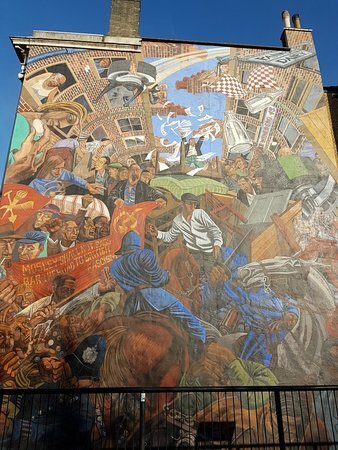 London's socialist history in mural. 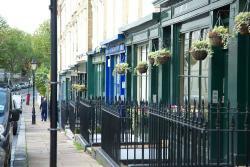 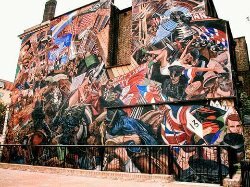 We actually stumbled across this one day en route somewhere else, but it had always been on our list to visit. 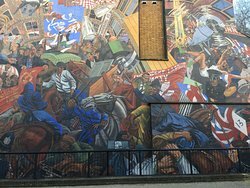 An important memorial to the battle of cable street and an important visual reminder of London's socialist history. 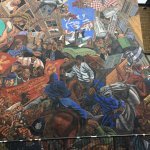 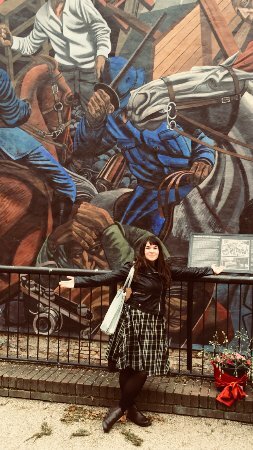 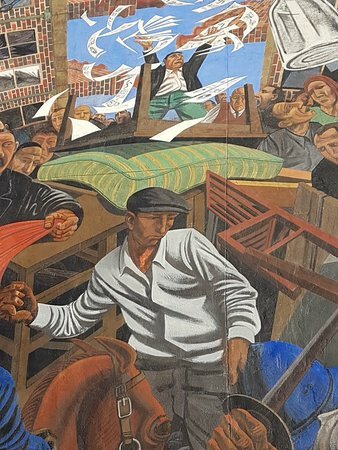 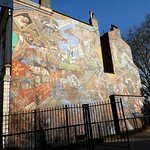 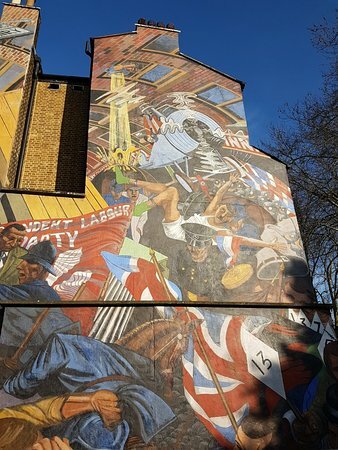 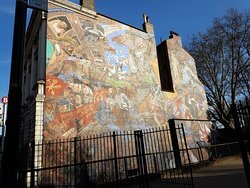 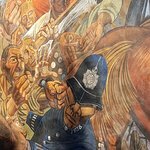 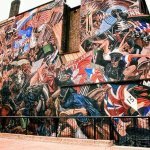 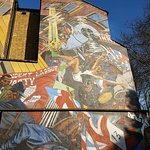 The cable street mural is a good bit of local history and a must see if you are in that bit of London. 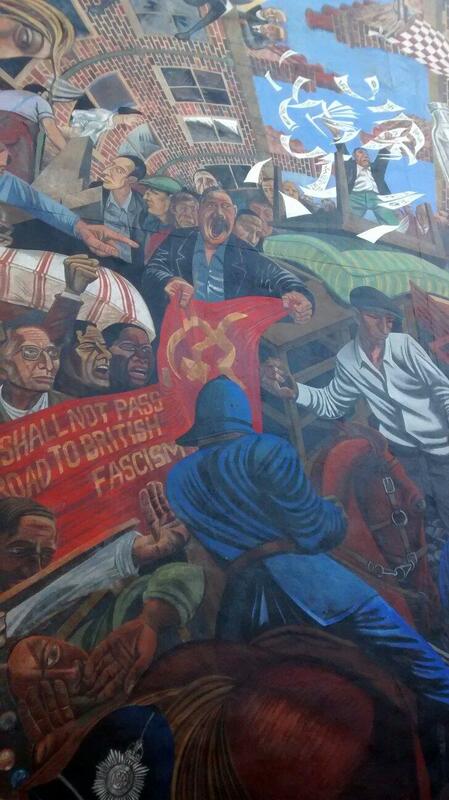 Great history place of people standing up against fascism and racism in the 1930s. 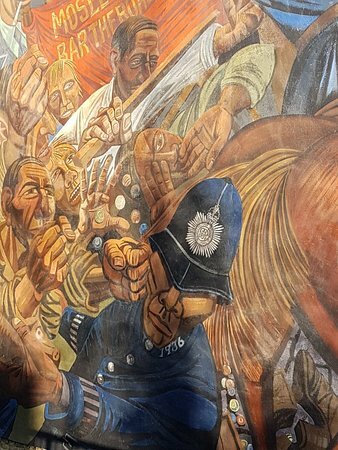 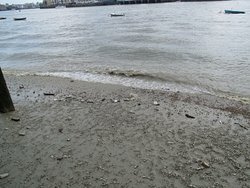 I love what it tells you about people of London saying no, when the authorities said yes, and the fascists said "heil Hitler"! 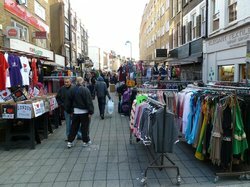 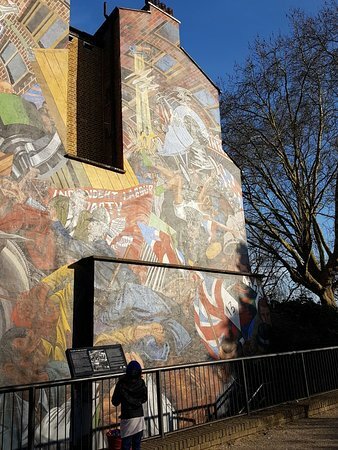 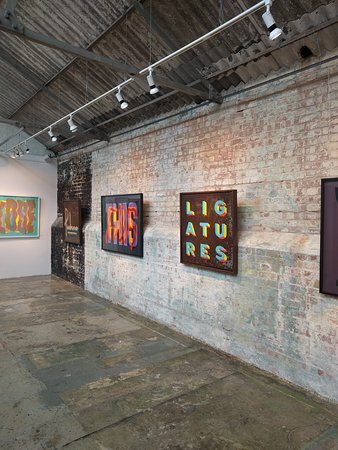 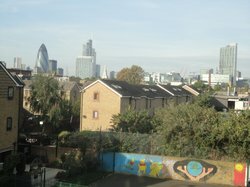 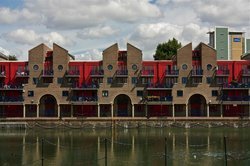 Get quick answers from Cable Street Mural staff and past visitors.